Red Light Radio is an online radio station broadcasting from a former prostitution window in the red light district of Amsterdam. 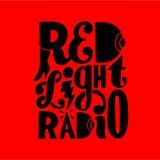 Red Light Radio brings you daily shows of local & international DJ’s, live sessions and interviews. Tune in live at www.redlightradio.net and find all recordings on this page.